Blast from the past: the conference picture from the 1982 International Conference on Zhu Xi, at the East-West Center. 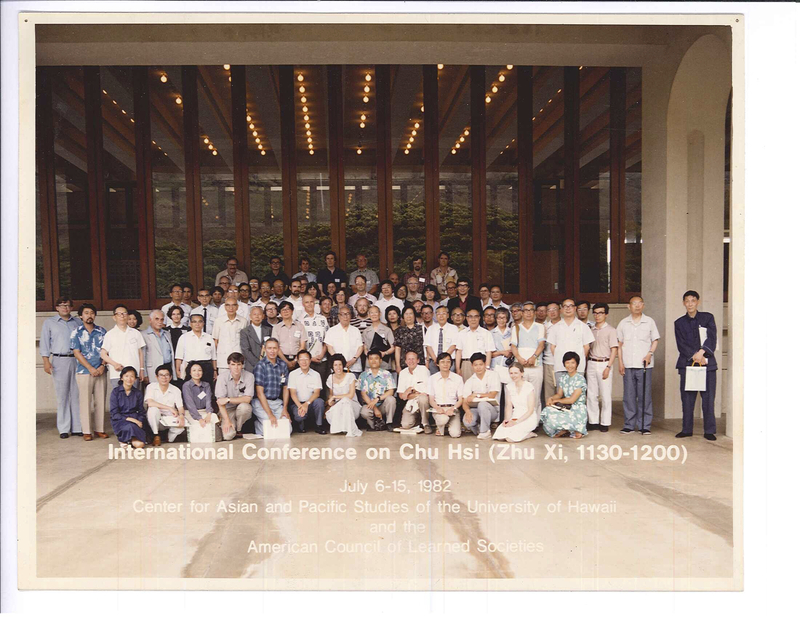 Many of the papers from this conference are collected in the landmark volume edited by Wing-tsit Chan and published in 1986, Zhu Xi and Neo-Confucianism. Thanks to Harold Sjursen, via Deborah Sommer, for the picture. Is Ames not in this picture? I was hoping to see a 1982 version of him!